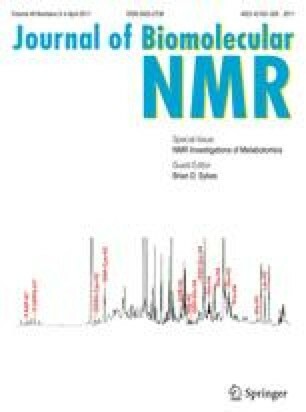 NMR spectroscopy was used to evaluate growth media and the cellular metabolome in two systems of interest to biomedical research. The first of these was a Chinese hamster ovary cell line engineered to express a recombinant protein. Here, NMR spectroscopy and a quantum mechanical total line shape analysis were utilized to quantify 30 metabolites such as amino acids, Krebs cycle intermediates, activated sugars, cofactors, and others in both media and cell extracts. The impact of bioreactor scale and addition of anti-apoptotic agents to the media on the extracellular and intracellular metabolome indicated changes in metabolic pathways of energy utilization. These results shed light into culture parameters that can be manipulated to optimize growth and protein production. Second, metabolomic analysis was performed on the superfusion media in a common model used for drug metabolism and toxicology studies, in vitro liver slices. In this study, it is demonstrated that two of the 48 standard media components, choline and histidine are depleted at a faster rate than many other nutrients. Augmenting the starting media with extra choline and histidine improves the long-term liver slice viability as measured by higher tissues levels of lactate dehydrogenase (LDH), glutathione and ATP, as well as lower LDH levels in the media at time points out to 94 h after initiation of incubation. In both models, media components and cellular metabolites are measured over time and correlated with currently accepted endpoint measures.